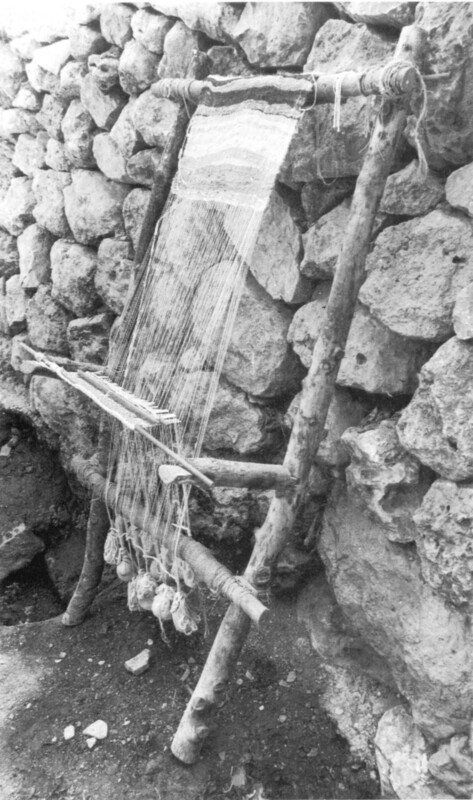 The manufacture of cloth and garments formed an important part of daily life in a late Iron Age household, as attested by the presence of loom weights and spindlewhorls in excavated homes. 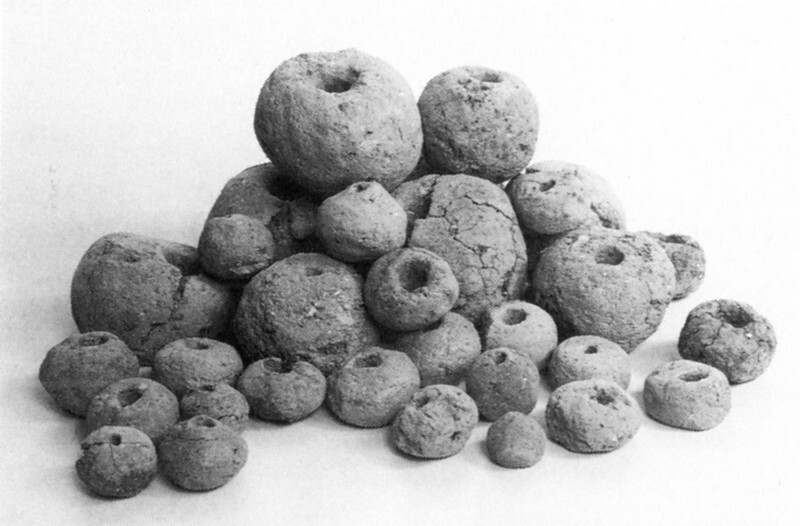 This group of 24 clay loom weights were found in the City of David in Jerusalem. 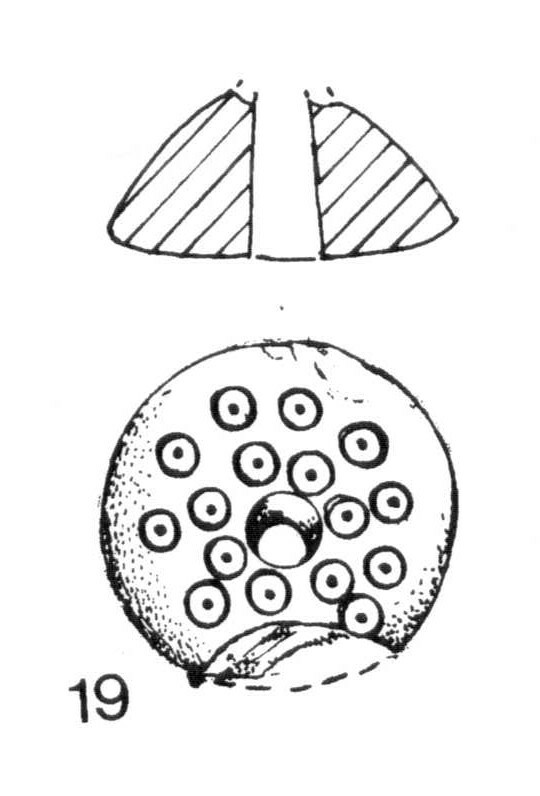 Two other collections of of clay loom weights were found on a possible living surface immediately below the House of the Bullae. 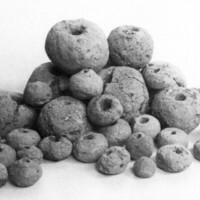 The location of these loom weights suggest that in a previous period (before the floor of the House of the Bullae was laid down) the room contained a loom and was used for the manufacture of cloth. 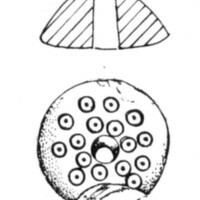 The spindle whorl, made of decorated limestone, come from the House of Ahiel, also in the City of David. 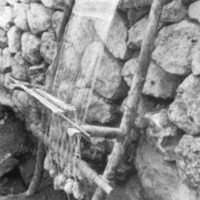 An image of a reconstructed warp-weighted loom gives an idea of the way that these loom weights would have been used in an Iron Age domestic context.